OLIVE JAPAN 2016 WINNERS LIST UPLOADED !! Home » News » News » OLIVE JAPAN 2016 WINNERS LIST UPLOADED !! OLIVE JAPAN 2016 had Total 600 Entries from 21 countries around the world. 196 SILVER MEDALS to beautiful made olive oil. 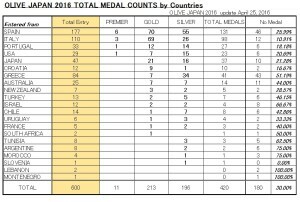 The MEDALS by countries shown below table. 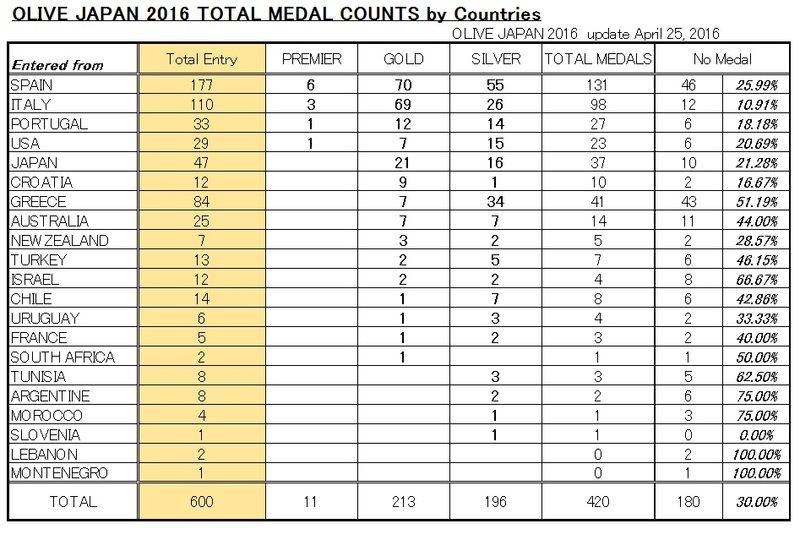 All the results became final as of May 14, 2016.